1. Surprise! No Calorie Counting. You won't need a calculator for this meal plan. 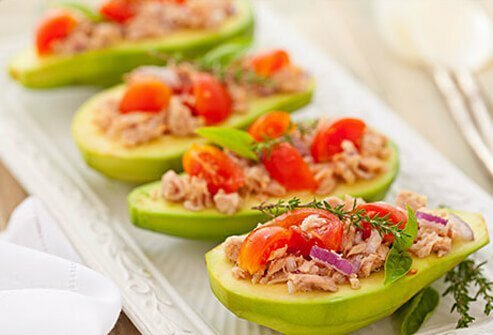 Instead of adding up numbers, you swap out bad fats for heart-healthy ones. 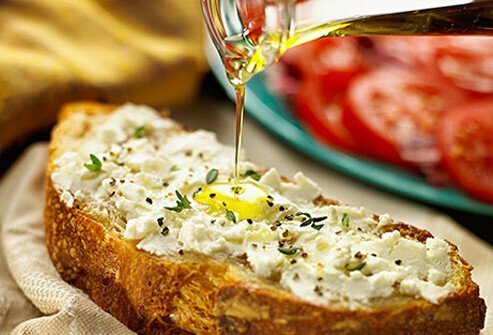 Go for olive oil instead of butter. Try fish or poultry rather than red meat. Enjoy fresh fruit and skip sugary, fancy desserts. 2. The Food Is Really Fresh. You won't need to roam the frozen food aisle or hit a fast-food drive-thru. The focus is on seasonal food that's made in simple, mouth-watering ways. Build a yummy salad from spinach, cucumbers, and tomatoes. 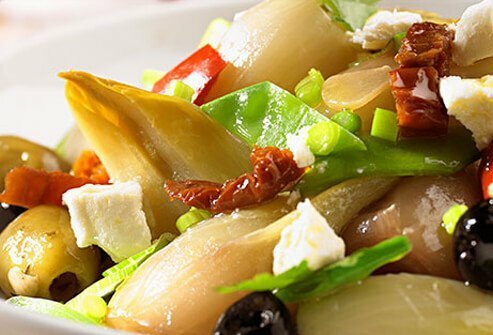 Add classic Greek ingredients like black olives and feta cheese with a Quick Light Greek Salad recipe. , You can also whip up a colorful, veggie-filled batch of Grilled Tomato Gazpacho. 3. You Can Have Bread. Look for a loaf made with whole grains. It's got more protein and minerals and is generally healthier than the white flour kind. 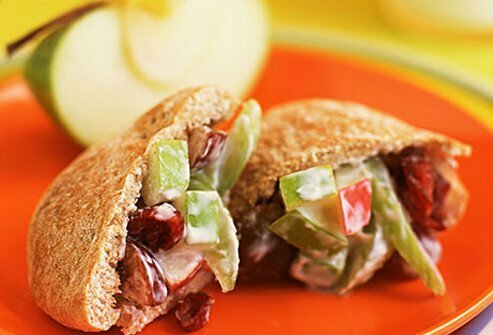 Try whole-grain pita bread dipped in olive oil, hummus, or tahini (a protein-rich paste made from ground sesame seeds). You just need to look for the good kind. You'll find it in nuts, olives, and olive oil. These fats (not the saturated and trans fat hidden in processed foods) add flavor and help fight diseases from diabetes to cancer. 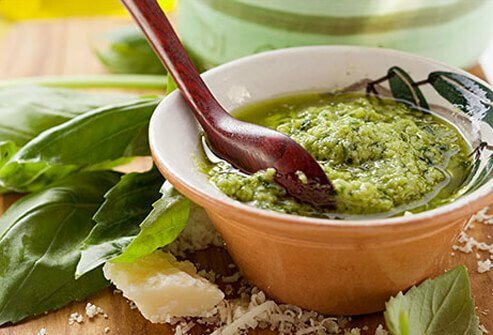 Basic Basil Pesto is a tasty way to get some into your diet. 5. The Menu Is Huge. It's more than just Greek and Italian cuisine. 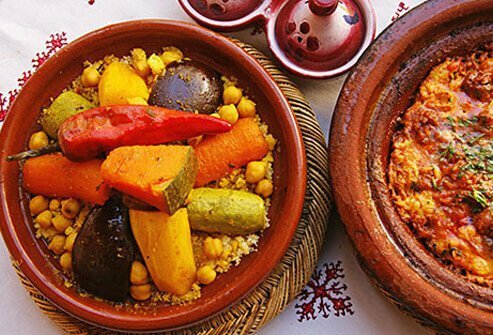 Look for recipes from Spain, Turkey, Morocco, and other countries. Choose foods that stick to the basics: light on red meat and whole-fat dairy, with lots of fresh fruits and veggies, olive oil, and whole grains. This Moroccan recipe with chickpeas, okra, and spices fits the healthy Mediterranean profile. 6. The Spices Are Delicious. Bay leaves, cilantro, coriander, rosemary, garlic, pepper, and cinnamon add so much flavor you won't need to reach for the salt shaker. Some have health benefits, too. Coriander and rosemary, for example, have disease-fighting antioxidants and nutrients. This recipe for Greek-Style Mushrooms uses cilantro and coriander and has a lemony kick. 7. It's Easy to Make. 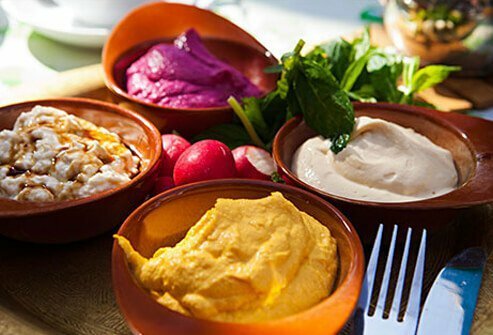 Greek meals are often small, easily assembled plates called mezzes. For your own serve-it-cold casual meal, you could put out plates of cheese, olives, nuts. Also check out these recipes for Basil Quinoa With Red Bell Pepper and Eight Layered Greek Dip. Both contain heart-friendly ingredients including olive oil, beans, whole grains, and spices. 8. You Can Have Wine. A glass with meals is common in many Mediterranean countries, where dining is often leisurely and social. Some studies suggest that for some people, up to one glass a day for women and two for men may be good for your heart. Red wine may be healthier than white. Check with your doctor to see if it's a good idea for you. 9. You Won't Be Hungry. You'll get a chance to eat rich-tasting foods like roasted sweet potatoes, hummus, and even this Lima Bean Spread. You digest these slowly so that you feel full longer. 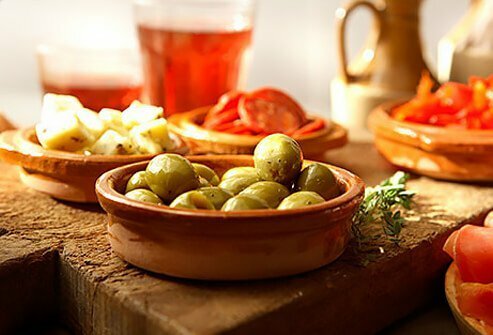 Hunger's not a problem when you can munch on nuts, olives, or bites of low-fat cheese when a craving strikes. Feta and halloumi are lower in fat than cheddar but still rich and tasty. 10. You Can Lose Weight. 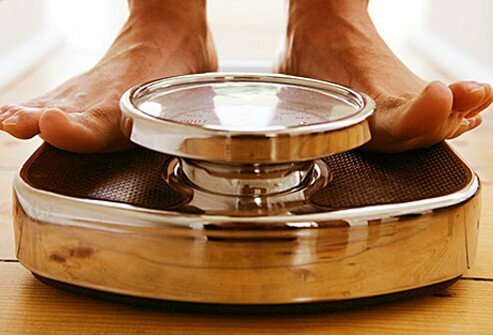 You'd think it would take a miracle to drop some pounds if you eat nuts, cheese, and oils. But those Mediterranean basics (and the slower eating style) let you feel full and satisfied. And that helps you stick to a diet. Regular exercise is also an important part of the lifestyle. 11. Your Heart Will Thank You. Almost everything in this diet is good for your heart. Olive oil and nuts help lower "bad" cholesterol. 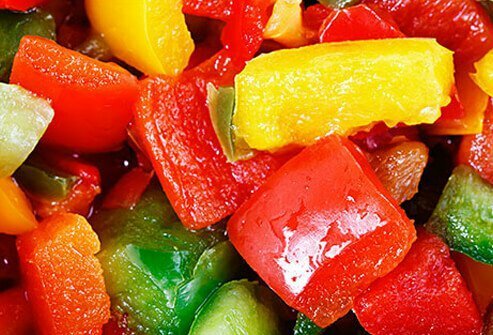 Fruits, veggies, and beans help keep arteries clear. 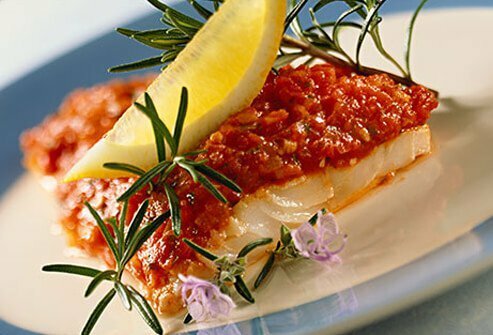 Fish helps lower triglycerides and blood pressure. 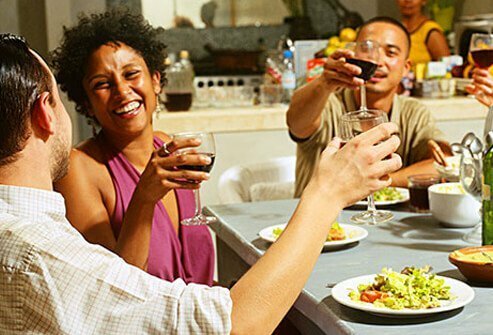 Even a daily glass of wine may be good for your heart! If you've never fallen in love with fish, try this Mediterranean-inspired recipe for Grilled Whole Trout With Lemon-Tarragon Bean Salad. 12. You'll Stay Sharper Longer. The same goodness that protects your heart is also good for your brain. You're not eating bad fats and processed foods, which can cause inflammation. Instead, antioxidant-rich foods make this eating style a brain-friendly choice. Ajala, O. The American Journal of Clinical Nutrition, January 2013. Andrade, A. Journal of the American Dietetic Association, September 2008. Acquista, A. The Mediterranean Prescription, Ballantine Books, 2006. Basli, A. Oxidative Medicine and Cellular Longevity, 2012. Blaustein, M. American Journal of Physiology, March 2012. Chiva-Blanch, G. Alcohol, May-June 2013. Chiva-Blanch, G. Alcohol, February 2013. Daphne Miller, MD, professor of family medicine at the University of California, San Francisco. Estruch, R. The New England Journal of Medicine, April 2013. Folts, J. Advances in Experimental Medicine and Biology, 2002. Frances Largeman-Roth, RD, New York, author of Feed the Belly:The Pregnant Mom's Healthy Eating Guide and co-author of The CarbLovers Diet and The CarbLovers Diet Cookbook. Istvan, L. Genes & Nutrition, March 2010. Jenkins, N. The New Mediterranean Diet Cookbook, Bantam, 2008. La Vecchia, C. Public Health Nutrition, October 2004. Miller, D. The Jungle Effect, William Morrow, 2008. Mueller, K. ISRN Gastroenterology Journal, February 2013. Murray, M. The Encyclopedia of Healing Foods, Atria, 2005. Nair, V. Journal of Ayurveda and Integrative Medicine, January 2013. Rachel Johnson, PhD, MPH, RD, Robert L. Bickford Jr. Green and Gold Professor of Nutrition at the University of Vermont; spokeswoman, American Heart Association. Razquin, C. European Journal of Clinical Nutrition, August 2009. Rosén, L. Nutrition Journal, September 2009. Salas-Savado, J. Diabetes Care, September 2010. Schwarzfuchs, D. The New England Journal of Medicine, October 2012.